When you have tinnitus, existing environmental noises become more muddling – the ringing noises can be unbearable at times. This critical condition causes spontaneous and unusual sounds, produced in the eardrums. Doctors and audiologists have done many studies on such cases to determine the cause of tinnitus, but have not yet identified the principal cause of this health condition. So, it’s become more difficult for people to live with this situation. This is especially true since we are surrounded by different types of environmental noises all around. The debilitating ear disorder is also related to specific infectious conditions and abnormal ear functionality, which is why it is highly recommended that you see a doctor immediately to fix any underlying conditions and cope with the problem. De-stressing yourself is an efficient way to combat the effects of tinnitus. It is essential to understand that anxiety and stress can amplify your symptoms and can lead you to a depressive condition, which can, in turn, lead to hypertension and other disorders. Massaging and meditation is the best option to enjoy a soothing and relaxing effect. Exercise will also help you to find the way toward recovery. You can also listen to some soft and calming music to cover the inner sounds you hear all the time. Take a break from your routine and opt for camping or a hiking trip. To overcome this hearing disorder you have to take a preemptive approach by seeing an auditory specialist. As they just don’t treat your underlying symptoms, but can prescribe methodologies to help you combat your situation. 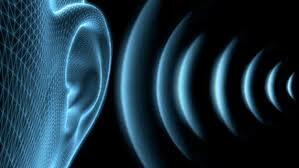 To evaluate your hearing ability, they check your auditory system with specific sound matching and masking level techniques to examine the threshold of sound in the ears. The tool and techniques used will help the doctor design specific strategies you can implement to steer clear of repetitive noises and focus more on your work or activity. Over-consumption of caffeine and other nicotine containing products can lead to various health issues including tinnitus. Moreover, try to reduce the amount of sodium (salt) while preparing your favorite dishes. Add fruits, veggies and whole grain more in your regular diet to avoid underlying tinnitus exposure. There are several modes of techniques that can calm your mind and fight tinnitus. Hypnotherapy can help you control the nature and volume of sound that occurs in your ear. This method is very much useful in case of overwhelming tinnitus as it gives you a way to change and alter the direction and tone of the sound. Other than the tips above you have a lot of options to overcome tinnitus. But following daily jog routine and aerobic seems a cost-effective remedy in case of frequent episodes of tinnitus. These techniques not only unwind your tinnitus by diverting your mind but also give you relief from other chronic disorders. Or you could Book an appointment with the closest LCSW-R in New York City to get a convenient examination and treatment.